St. Louis, MO (January 10, 2019) Blue Line Technology announced today that it will offer the Dell Edge Gateway Embedded 3000/5000 PC/IoT solutions to power its First Line Facial Recognition, Identification, Verification, Alert Enabled software for Access Control. The Dell Edge Gateway system aligns perfectly with First Line’s Internet of Things (IoT) architecture by placing the facial recognition processing at the edge where it will have the greatest impact. The combination of the Dell Edge Gateway Embedded 3000/5000 PC/IOT hardware and the proprietary, First Line software, will provide a seamless, frictionless, biometric environment for access control. The speed and accuracy of Blue Line Technology’s, First Line Facial Recognition software combined with Dell Edge solution offers customers the flexibility and scalability to handle one or one thousand entrances/exits. 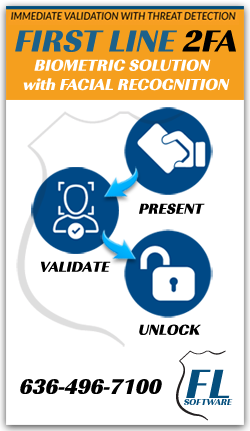 The ability to scale access control and threat detection at the door, turnstile, metal detector, convenience store entry point, time and attendance reader, or data center secure rack offers customers greater confidence in deploying facial recognition technology.